China international Yuning Zhang scored his first Werder Bremen goal in Sunday's comprehensive 3-0 friendly win over 3. Liga outfit Osnabrück. The 20-year-old forward struck five minutes from normal time, after replacing opening goalscorer Aron Johannsson on the hour-mark. Austria international Zlatko Junuzovic was also on target at the Stadion an der Bremer Brücke. 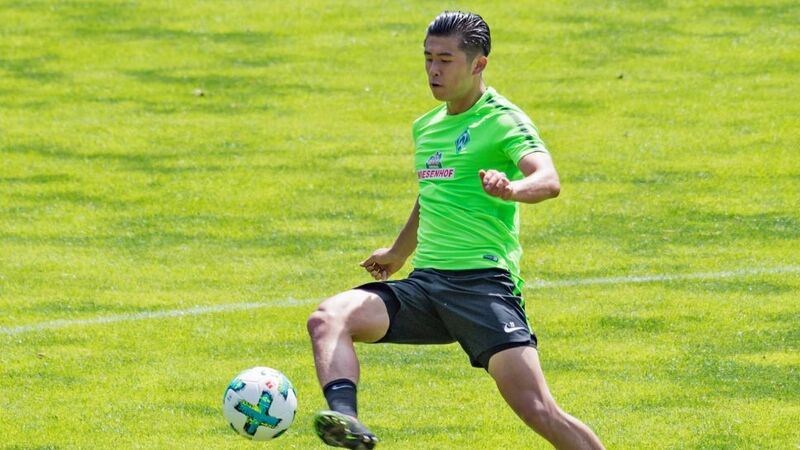 "The intensity was different to the tough work in training," Zhang told Werder TV. "I'm delighted to get my first goal for Bremen." Werder head coach Alexander Nouri was no less enthused by the performance of his Far Eastern recruit, who only moved to Bremen from West Brom on a two-year loan deal on 3 July. "He really got stuck in and took his goal well," Nouri said. "We'll help him and give him the time he needs, but he's settled in very well. He speaks fluent English and is keen to learn German." Bremen, who finished runners-up behind Bayern Munich in Saturday's Telekom Cup, are next in action against Bundesliga 2 side St. Pauli on 22 July.